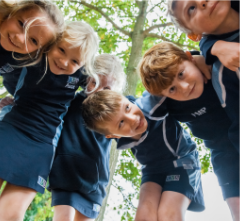 We are a non-selective, independent school offering day and boarding places. We have an Infant & Junior, Senior and Sixth Form school that all come under the same School Principal. There are around 850 students at the school. Welcome to LVS Ascot. We would like to take this opportunity to welcome you to the school so you can appreciate all we have to offer for you and your child. We want to develop each and every one of our students to prepare them for the challenges of later life.